This giveaway is now closed. Thanks for stopping by! The winners are Leah and Jennifer T. Congratulations! In true HSM fashion, Sprout launched it’s holiday musical event entitled Preschool Musical on a Stick. If you missed it, don’t worry…you can see it one more time on 12/31 (that’s tomorrow!) at 5:30 pm ET. 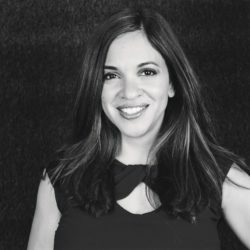 For all of the behind the scenes 411, check out this fabulous Q & A session. Win It! 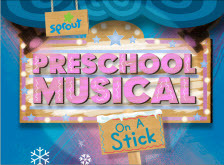 2 lucky readers will win a copy of Preschool Musical on a Stick on CD. Head on over to the site and watch a video…or three! Come back here and leave me a comment with your favorite video or song. Also let me know if you’ve seen it. Comments will close on January 10, 2008 at 10 pm PST. One comment per person, please. US residents only. Duplicates and comments not including the above information will be disqualified. Comments are moderated. If you don’t see your comment in a reasonable amount of time, send me an email. Bloggers and non-bloggers may enter. If you don’t want to leave your email address, please be sure to check back for my announcement on the winner. Please note that winners must respond within 48 hours of being announced/contacted or another winner will be drawn. My daughter likes the song Part Of The Family!! Nice site!! like the games!! I liked the Dance Along video. Thanks you for the chance to win. We love Sprouts. I was so sad when we moved and our cable company does not carry it. My twin toddlers love the Dance Along. They are always dancing around the house. They are hilarious. I also like Crocodile Rock! My preschool class would love the dance along video. my daughter and i love Caillou’s Christmas Song. we havn’t seen HSM yet. Caillou’s Christmas Song is great. Crocodile Rock, for sure! No, I haven’t seen it! Thanks! My favorite is Crocodile Rock. My favorite video was Dance Along, and yes, I’ve seen it. Thanks for the giveaway! My son loves Calliou’s Christmas song! Thanks! My favorite is Crocodile Rock, enter me please. I love crocodile rock, I mean, who doesn’t? Crocodile Rock is a favorite at my house. we love dance along:) thanks for the awesome prize! I like the Crocodile Rock. Dance along is my favorite! My son loves Calliou’s Christmas song…yes I’ve seen it…thanks. I liked the Dance along video. We caught a few of their preschool on a stick segements. They were cute. I just subscribed to your email feed. crocodile rock is awesome. wish i hadn’t missed the show. Dance, dance,dance is where its at ! I sooooooo love “No Day Like A Snow Day On The Farm” and “Crocodile Rock”!!! Such cute songs and videos! My ds would just love this! I love following you on TWITTER….username leahita. 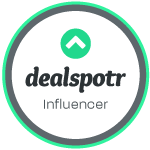 And, I faved you on technorati….user name: leahita. I love Crocodile Rock! I haven’t seen it yet.